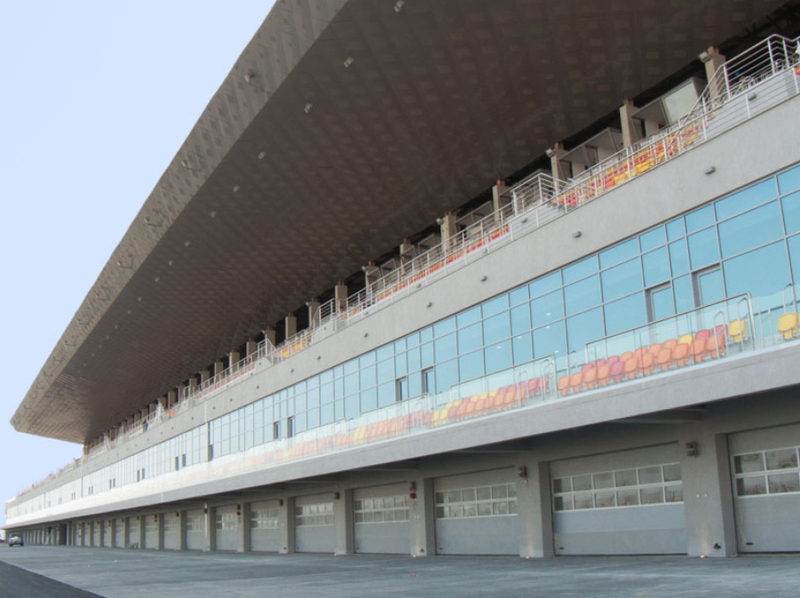 Imar has created the roof of a large part of Kuwait's Motor Town macro complex, which opened on Wednesday, 28 March, and is one of the benchmarks of motor sports in the Middle East. The solution used was Imar Imaging in perforated, 2.5 mm gauge, aluminium with grey lacquer. The wave effect is achieved thanks to the union of different sheets made with the same perforation, but with different perforated areas. 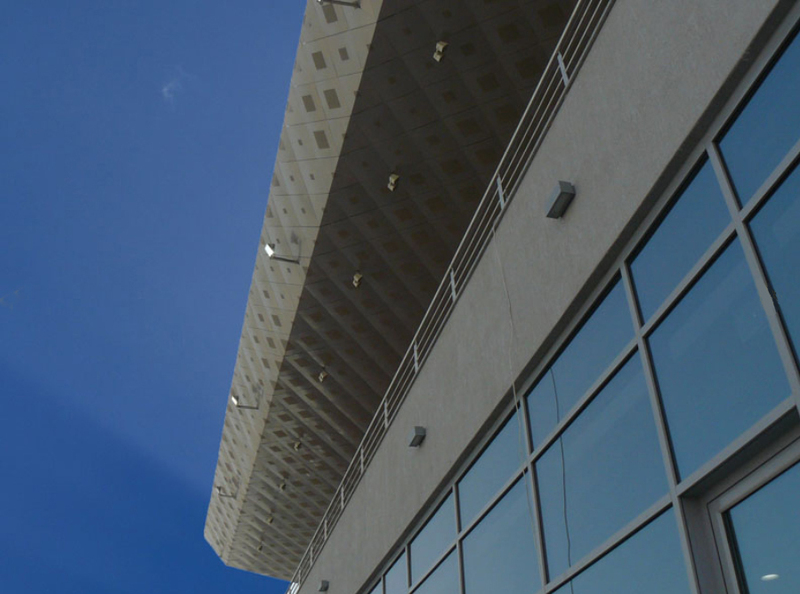 A total 10,000 m2 of metal double skin were built to clad the pit building and control tower. 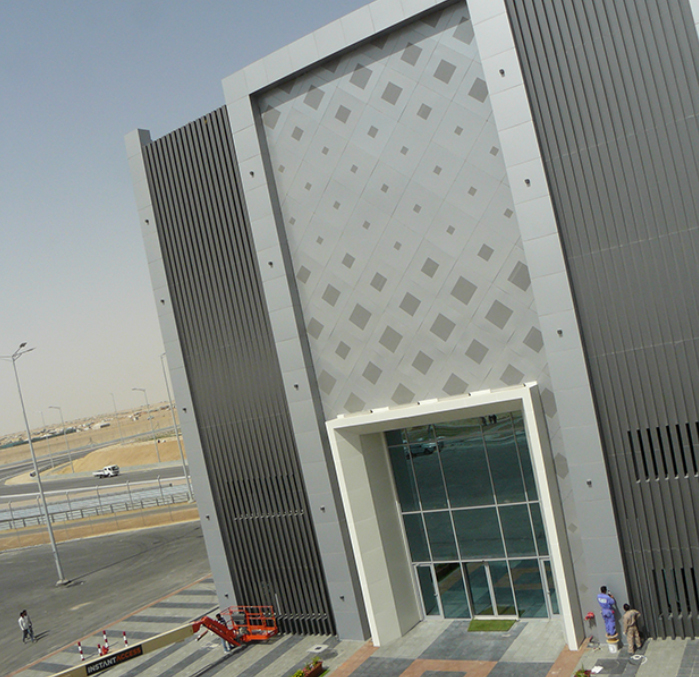 Kuwait's Motor Town was built by KCC Engineering & Contracting Company and designed by Tilke Engineers and Architects. it boasts a circuit that is more than 5,000 metres long, designed by the famous circuit designer Herman Tilke, as well as a hotel, a shopping centre, entertainment areas, tracks for other motor sports and an oasis with a small lake. The circuit will have Grade 1 FIA status, allowing it to host World Formula One and MotoGP events. It was a so-called ‘fast track’, in which design and execution are overlapped to cut down on construction time.